Are you trying to figure out how to get the most out of your minuscule advertising budget? Or, have you tried all of the traditional forms of marketing and not had any success? If this sounds like your business, do not give up just yet. More and more contractors are learning about the exciting possibilities of building their brand using mobile advertising. 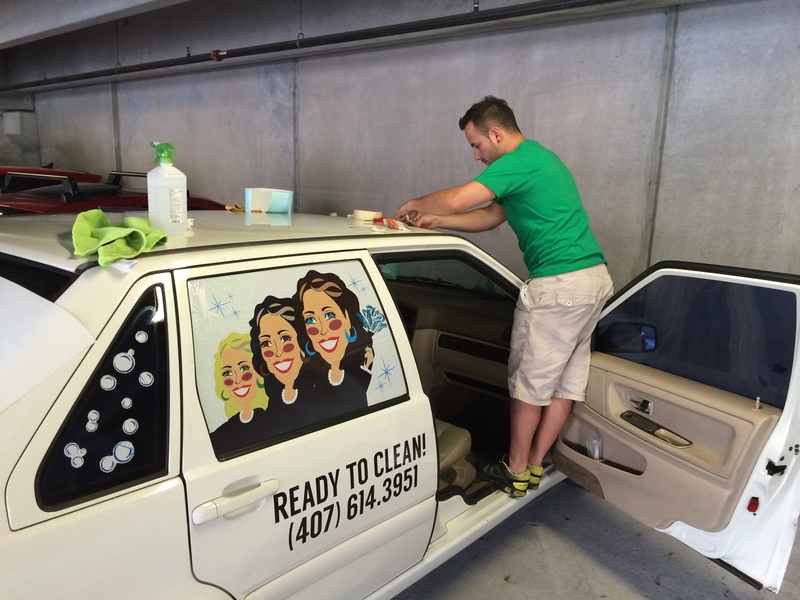 Read on to learn how vehicle graphics for contractors in Orlando can improve your bottom line. Our clients often tell us that they had never considered vehicle graphics before because they assumed it would be too expensive. They soon come to find out that they cannot afford to pass up this marketing medium. One of the biggest manufacturers of vinyl, 3M, recently conducted a study to find out exactly how effective vehicle wraps are. They found that in order to reach the same number of people you reach with a $3500 wrap, you would have to spend $130,000 on traditional advertising. There is a lot of surface area on your work trucks and vans. When you put vehicle graphics to work for you, you are suddenly driving a billboard on wheels. And, research shows that passengers, pedestrians, and drivers see and remember vehicle wraps. The evidence is readily available: take note of the graphics you see next time you are making deliveries, running errands, or traveling to a job site. You will be amazed at how many you stare at idly while in traffic. Using vibrant imagery, designs, and vinyl graphics, you brand your contractor business at all hours of the day and night. Your work vehicles are typically the first impression you make on consumers. You do not inspire trust when you show up to a residence or business in a truck with faded and cracked lettering. Avoid this by using vinyl graphics that highlight your professionalism. 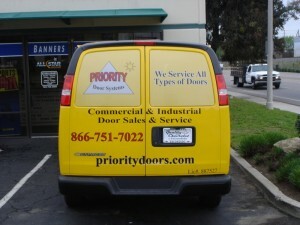 Vinyl Wraps – We strongly recommend wrapping your vans if you have the wiggle room in your budget. These high impact graphics will boost your branding so clients will come to you when they are in need of your services. Decals and Spot Graphics – Using the latest templates and in-house graphic artists, we design, fabricate, and install vinyl decals. This is perfect for displaying your handiwork and logo. Vehicle Lettering – We have an array of standard letter fonts and colors, or we can custom print and cut vinyl letters to precisely match your existing branding. 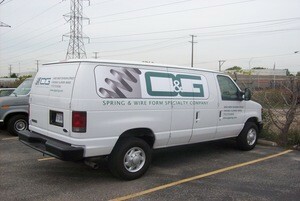 No matter the make or model of your work vehicles, we can install your lettering for maximum impact. When you hire the friendly experts at Citrus Sign Studio, we listen to your goals and make recommendations based on your vision and budget. Before we print out your graphics, we will provide you with proofs of exactly what you can expect to get. If you are ready to attract new clients with contractor vehicle graphics, Orlando contractors can contact us today for a free consultation and quote.